You can relate to the superhero, can't you? 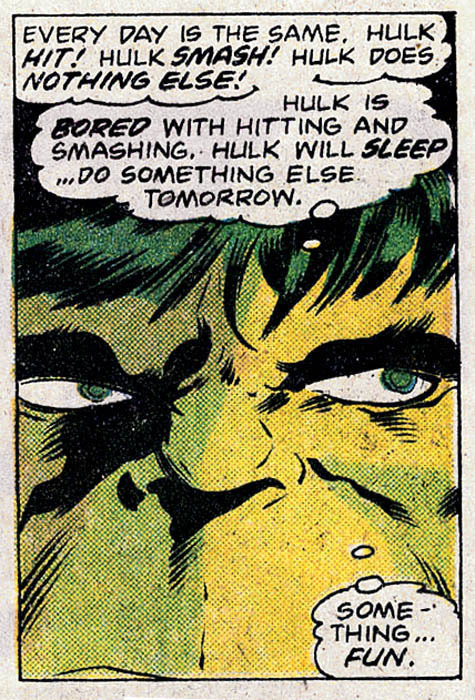 I think Hulk went to the county fair and rode the ferris wheel. I don't think so. I saw him at Tuckahoe Funland. He was having the time of his life! Though yes, he had some problems when he went to answer nature's call.